ECSCW Panels aim to inspire, explore, and provoke ECSCW 2019 attendees to engage with emerging and innovative topics, which have the ability to transform and push CSCW research in a new direction. Panels are a unique opportunity to pull together a diverse range of experts, who can offer opposing viewpoints and positions. Ideally, panel proposals will have 3-4 participants, who represent a range of diverse ideas and approaches related to a given topic. Topics should be novel, lively or controversial, inspiring the audience to respond and to further elaborate on their ideas. Panels should be facilitated by a strong moderator, who will guide both the conversation in a timely and focused manner and the audience in expressing their opinions. In addition, we encourage Panel organisers to creatively think about how they will facilitate audience interaction and general discussion. 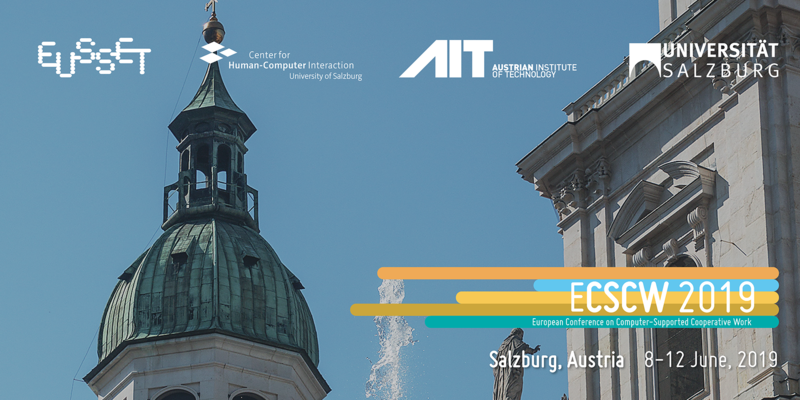 See the list of panels at ECSCW 2017 here. Accepted Panel proposals will be published in the ECSCW/EUSSET Digital Library.